Maniac Cop is a cult classic. The film, about a killer in a police uniform who roams around New York City killing anyone he can, is a film that is remembered for introducing the cult world to Robert Z'Dar. Z'Dar had made a few films before, but it was Maniac Cop that cemented his cult status. The film also starred another big chinned man, Bruce Campbell, as well as Tom Atkins and Richard Roundtree. It has been announced that John Hyams, who directed Universal Soldier: Regeneration, Universal Soldier: Day of Reckoning, and Dragon Eyes, will direct the film which starts shooting this summer. The film is being produced by Nicolas Winding Refn, who gave us 2012's Drive as well as Not Only God Forgives and Neon Demon. Taking on scripting duties is Ed Brubaker who is a comic writer, who primarily writes comics, but has also written 2009's Angel of Death, starring Zoe Bell, and one episode of Westworld. I am not against remakes. Some of the best films ever made are remakes: John Carpenter's The Thing, David Cronenberg's The Fly, Martin Scorsese's The Departed, and Zack Snyder's Dawn of the Dead are remakes that come to mind. So I am not against this remake either. The film has some real talent behind it. 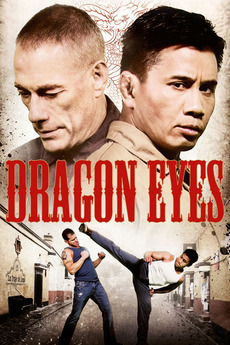 John Hyams is one of the few American director's who understands how action scenes should be shot. He doesn't over shoot and the pacing of his action scenes help the action make more sense, which helps make the scene, and the film, better. So having him on board is a plus. 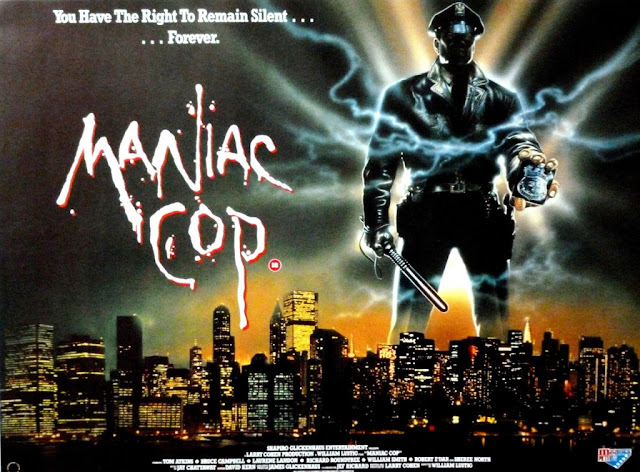 Maniac Cop is not really an action film, there are action scenes in it, but the film is more of a horror-thriller. That doesn't mean that Hyams will do a bad job. It will be interesting how he handles the material. Nicolas Winding Refn producing is a good choice. The man is known for his striking visuals and intense violence so his influence on the film could be a good thing. I haven't been a fan of the films he has made since Drive, but I am always open to new things. Maniac Cop is a good film, but not a great one. The grit of 80's New York City really helps the film and I don't think that the remake is going for that. This could be a good thing, but it could also turn out bad. The grit of the original was there already (obviously), but it was a character in the film. The original film's director, William Lustig, lived for the grit. Look at any one of his films made during the 70's and 80's and you will see that he loved the way New York felt. Watching any one of his films is a lesson in what New York looked and felt like before the corporations came in and cleaned it up. With John Hyams directing, I am expecting the film to be a bit more action oriented. This could be a very good thing as the first film did drag a bit. The big question, though, is who is going to play Matt Cordell, the Maniac Cop? City on Fire suggests that Dolph Lundgren would be a great choice to take on the role. I couldn't agree more. Lundgren is very imposing when he needs to be and can easily be believable in the role. Since the film will most likely have a more action focus, Lundgren would be able to fill the film perfectly. Hyams has also worked with Lundgren a few times, so they know how to get the best out of a scene. The more I write about this, the more I want to see it. Hyams is a great choice for directing the film and I am curious to see who they cast as Matt Cordell. Filming happens in the summer so who knows when we will actually see a release for it. I am thinking that we will see some time in Summer of 2018. Hopefully it will be sooner, but they can take their time if they are making a worthwhile film.